This products is a general purpose chloroprene rubber of low crystallization rate made by polymerizing the emulsion with sulfur as modifier and petroleum sodium sulfonate as disperser. This products is characterized by good physico-mechanical performance, sunlight resistance, ozoneageing resistance, weather resistance, chemical reagent resistance, oil resistance, combustion retardancy and better electric performance. a.Appearance:Creamy or light-brown flaky or lumpy matter, free from mechanical impurities(except talc powder) and scorched particles. It may be used for making electric wires, cables, lil resisting hoses and boards, coveryer belts, driving belts, rubber sealing materials and other rubber products. In addition, Type CR122 is a non-pollutant general purpose chloroprene rubber and especially suitable for maanufacturing bright-color and light-color rubber products. This products is a non-pollutant type chloroprene rubber of medium crystallization rate, a variety of general purpose chloroprene rubber, made by polymerizing the emulsion with petroleum sodium sulfonate as disperser and non-sulfur modifier as modification agent. This product is characterized by excellent storage stability, processability and safety property, and its products have sunlight resistance, ozoneageing resistandce, oil resistance, chemical reagent resistance and combustion retardancy as well as heat resistance and less compression deformation.But its vulcanization rate is slow and should be solved by adjusting the vulcanization system. In conformity with Standard Q/SHJS 02, 01-91.
a.Appearance:Creamy flaky or lumpy matter from mechanical impurities (except talc powder) and scorched particles. It can be used for manufacturing oil-resistant rubber hoses and rubber boards, cable jackets, rubber sealing parts, etc, and is also widely used in making adhesive. This product is a general purpose chloroprene rubber of low crystallization rate made by polymerizing the emulsion with sulphur and mokifier D(biisopropyl Xanthogenate) as mixed modifier and petroleum sodium sulfonate as disperser, and with pollutant and non-pollutant antiageing agents used separately. This product is characterized by good physico-mechanical performances, sunlight resistance, weather resistance, ozoneageing resistance, chemical regent resistance, oil resistance, combustion retardancy, air impermeability, flexibility resistance, electric insulation, and more excellent tearing strength than CR121.It has good process performance, and is easy to plasticate, mix-melt and extrude to form.It also has smooth surface, good appearnce and satisfactory processing safety. a.Appearance:Creamy flaky or lumpy matter generally, free from mechanical impurities (except talc powder) and scorched particles. Due to its excellent comprehensive performances, this product is widely applied to making of various cables, chloroprene cloth wires, plain and oil resisting hoses, rubber boards, air ducts, conveyer belts, driving belts, tent cloth, waterproof cloth, oil resisting rubber boots, sealing parts, agricultural encapsutated air cushions, lifeboats, lifeboats, etc. CR322 is more suitable for various bright color or lightcolor. This product is a special chloroprene rubber of high-crystallization rate made by polymerizing the cmulsion with nonsulfur modifier as modifying agent and with Lomar Pw as disperser. This product is characterizcd by high crystallization ratc, strong cohesion, comparatively high adhesion strength and excellent ozonc resisance, weather resistance, oil resistance and combustion retardancy. a.Appearance:Milky white to light brown lumpy matter free from mechanical impurities except talc powder. This product is a basic raw material for adhesive production, and its preparation can be applied to adhesion for rubber, timber and metal. This product is a chloroprene rubber latex of non-sulfur modification and medium crystallization rate made by polymerizing the emulsion with chloroprene as mononer and positive soap as enulsifier. This latex is a positive one, of which the micelle has positive charge.It has a stable quality in acid medium, and does not coagulates under the action of Na+ and Ca2+ ions(while coagulates in alcohol, It is characterized by good mechanical strength and satisfactory flame resistance and combustion retardancy as well as better adhesion with cement, fider and steel plate, It will be livered when the temperatrte is lowed to below-10°C, and restored to its original state when the temperature has beeh gone up again, but it will coagulate and fail to be restored to emulsion state if stored at lower tenperature for long time. When mixed with cement and sand, it can make the mortar change its property and become elastic cement which cah be used as coating on the decks of ships for preventing fire and retarding conbustion as well as reducing noise and vibration and may also be applied to treatment of walls and floors in building trade as well as to the water-proof layer and prevention of fiber soaking and asphalt property change in underground works. 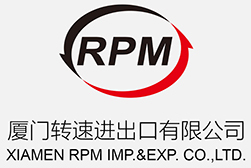 The MSDS format adheres to the standards and regulatory requirements of the Peoples Republic of China and may not meet regulatory requirements in other countries. Material is not known to contain Toxic Chemicals under Section 313 of Title III of the Superfund Amendments and Reauthorization Act of 1986 and 40 CFR part 372. Before using polychloroprene rubbers, read "Handling Precautions for Polychloroprene rubber. predicted to have the same low toxicity. Ingestion is not a probable route of exposure. SKIN Patch tests were run with four types of Polychloroprene rubber on human volunteers. No skin reactions were shown. Results are predicted to be similar for the types of polychlororene rubber in this MSDS. EYE Mechanical irritation only. INHALATION At processing temperatures above 200 C (392 F), fumes irritating to the eyes, nose, and throat may be produced. This exposure may result in reddening, tearing, and itching of the eyes and soreness in the nose and throat together with coughing. CHRONIC EFFECT None are known. Short-term over-exposure by inhalation to Talc may cause irritation of the nose, throat and lungs with cough, difficulty breathing or shortness of breath. Long-term over-exposure may lead to chronic lung disease with impaired lung function and abnormal chest x-rays. Increased susceptibility to the effects of Talc may be observed in persons with pre-existing disease of the lungs. The compound is not likely to be hazardous by skin contact but cleansing the skin after use is advisable. If molten material gets on skin, cool rapidly with cold water. Do not attempt to remove material from skin. Obtain medical treatment for thermal burn. HAZARDOUS COMBUSTION PRODUCTS: Complete combustion gives hydrogen chloride, carbon dioxide, sulfur dioxide and water. Incomplete combustion gives in addition carbon monoxide, organic acids, aldehydes, and alcohols. Extinguishing Media Water, Foam, Dry Chemical, CO2. Wear self-contained breathing apparatus. Wear full protective equipment. Recover undamaged and minimally contaminated material for reuse and reclamation. Scrape up spilled polymer. Contaminated surfaces can be cleaned with a solvent. Store in a cool place. Keep container tightly closed. Use local ventilation to control fumes from hot processing. Wear safety glasses. Wear coverall chemical splash goggles and face shield when possibility exists for eye and face contact due to splashing or spraying of molten material. A full face mask respirator provides protection from eye irritation. If there is potential contact with hot/molten material, wear heat resistant clothing and footwear. Temperatures above 200 C (392 F) . Hazardous gases or vapors can be released, including carbon monoxide, hydrogen chloride (HCl), organic acids, aldehydes, alcohols. Long-term exposure by ingestion to Talc caused no significant decrease in life span. bacterial or mammalian cell cultures, or in animals. Animal data indicate that Talc does not cause permanent genetic damage in reproductive cells of mammals (does not cause heritable genetic damage). No information is available. Toxicity is expected to be low based on insolubility in water. Proper Shipping Name : Not regulated.